The above diagram depicts a rectangle with isosceles triangle . is the midpoint of . What is the ratio of the area of the orange trapezoid to that of the white triangle? More information is needed to answer this question. 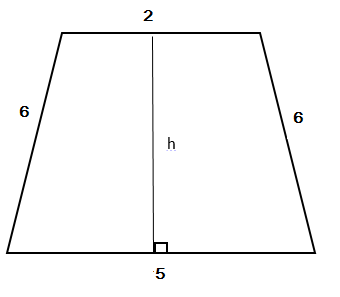 The ratio of the area of the trapezoid to that of the triangle is 6 to 2, which simplifies to 3 to 1. 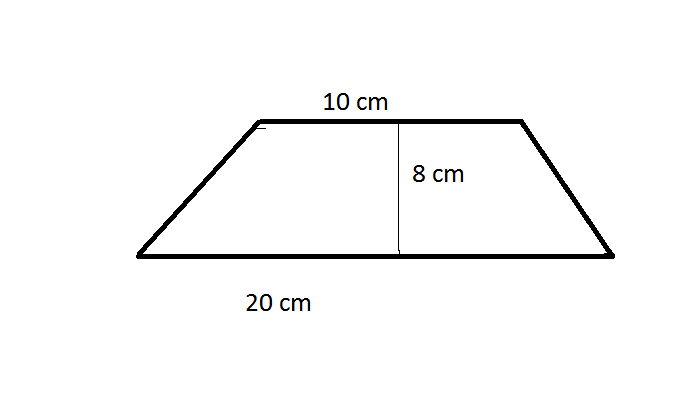 Find the area of the trapezoid above. Note: Image not drawn to scale. 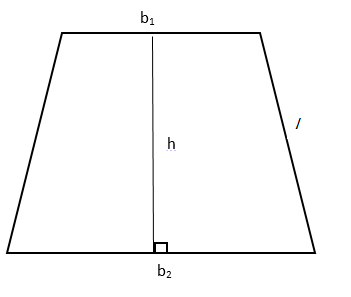 The area of a trapezoid is equal to the average of the length of the two bases multiplied by the height. Remember: the answer to the problem should have units in cm2 . 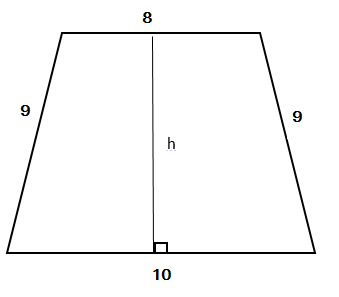 Find the area of a trapezoid with a height of and base lengths of and , respectively.